When expecting a new baby we know the pressure there is to make sure everything is ready before their arrival. Time and money are precious and out of all the things on your big to do list we want to make sure designing a nursery can be crossed off easily. With these 4 simples steps watch your fairytale nursery come to life! The most important part of any nursery is the crib. Not only is this where your precious one sleeps every night but it’s the main centerpiece of the room. The #myRoom Two Toned Convertible Crib will give your nursery a warm and modern feel with its Two Tone Gray & Parchment finish. Make your crib a long term investment with the Grow with Me Inspirations Crib. Many may think a crib is temporary but this crib grows with your child. With both of the cribs featured above you can add additional pieces such as a removable guard rail that can transform your bed from a crib, to a toddler bed, to a full size bed. Make life more convenient with a piece of furniture that serves dual purposes. Dressers with changing station toppers allow you to lots of neccessities for your child and function as a changing table. Imagine diapers, wipes, clothing and more just an arm’s reach away! The Driftwood Park Changing Station comes in a stunning Vanilla Bean or Sunflower Seed finish. Its small frame and pull drawers will not only provide you with plenty of storage for all your baby needs, but save space in your nursery as well. Make your life convenient with the 2 in 1 #myRoom 5 Drawer Dresser and Changing Station. Its two toned finish and sleek look will bring a contemporary style to your nursery. A separate compartment in the changing station offers the perfect spot for baby products. The changing top is removable so when your child no longer needs changing you will still have a stunning dresser that you can use in any room. Essential for any nursery is a comfortable glider to rock your little one or cuddle up for a story. Nursery chairs can come in all shapes and sizes but we love these options by Rowe. The Sophie and The Sully Swivel gliders are perfect for any nursery. Their Slipcover styles are eco-friendly, removable, and many fabrics are washable that way you don’t have to worry about stains. Its swivel and gliding motions will provide the perfect movement to help your little one fall asleep. You and your baby will be spending a lot of time in this chair so the utmost comfort is ideal. The final but best step is décor! Believe it or not it really doesn’t take much to make the whole nursery come together. Featured above are some of our favorite room décor and accessories from Stone and Leigh. Simply add your favorite painting, light fixture, stuffed animals, rug, and blankets and you have the nursery of your dreams! Finding items that are not only stylish but functional are very important when building your nursery. Purchasing furniture that can serve more than one purpose or can be a longer term investment will not only save you space but money! Planning for a child can be stressful, but we’re here to make sure designing a nursery doesn’t have to be with these 4 simple steps. 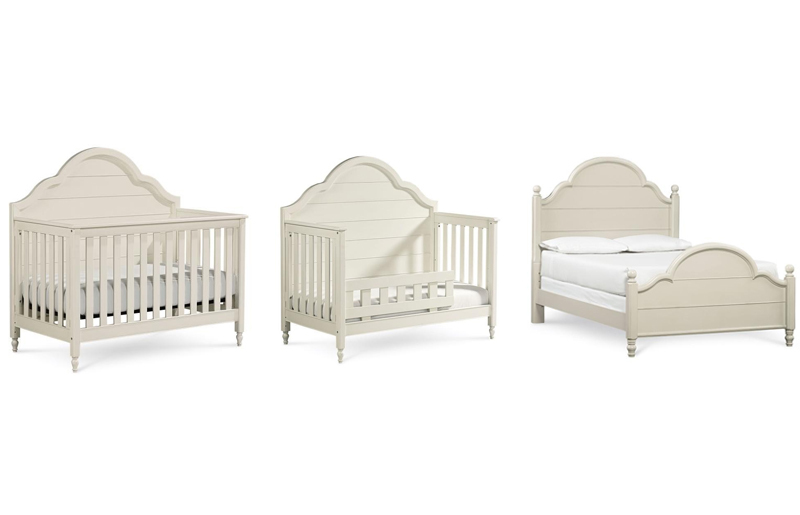 Shop these cribs, gliders, dressers and more at Belfort Furniture in Sterling, Virginia. Our showroom features the area’s largest selection of Nursery and Kids Furniture to outfit your rooms beautifully.